Strasbourg (February 7, 2019) – On the occasion of the 69th Berlin International Film Festival the European Audiovisual Observatory releases its first estimates for European cinema attendance in 2018. After three years of above average levels, the Observatory estimates that total admissions in the European Union decreased by 3.0% to 955 million tickets sold. This is 29.4 million less than in 2017 and the fourth lowest level registered in the EU since 2009. 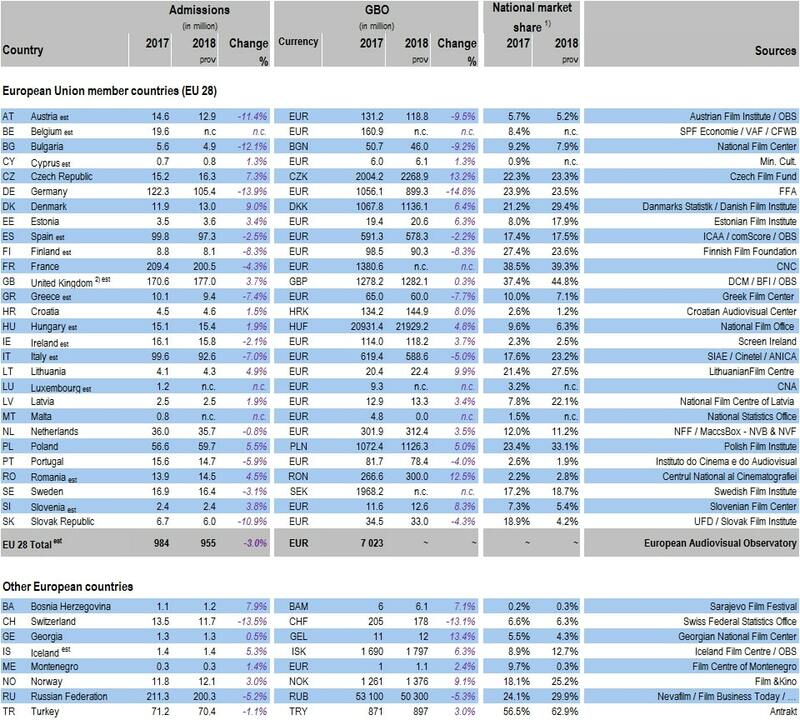 Including non-EU territories admissions in Europe declined as well, decreasing from the 2017 record level of 1.29 billion to 1.25 billion which still represents the third highest admission level of the past decades.